Woodvine is another Paradigm AdvantEdge neighbor located on the northeast corner of NW 164th and N May Avenue. Woodvine is a Quick-Mincey development consisting of 295 homes ranging from 1,662 square feet to 2,572 square feet. The homes were built between 2001 and 2006. Sales over the last year ranged from $155,000 to $207,000. Woodvine is a good move-up neighborhood from a starter home neighborhood. The neighborhood has a swimming pool and playground. Nearby are Quail Springs Mall, Lowes/Home Depot, the Memorial Road restaurant row and of course, easy highway access. 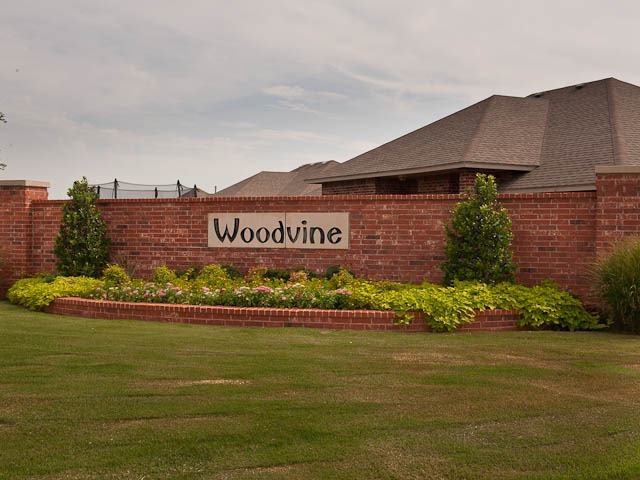 Woodvine is located with Oklahoma City city limits, but is in the Edmond School District and has an Edmond mailing address. Utilities are Oklahoma City. Homes sell well in Woodvine, averaging 67 days on market over the last 6 months. We welcome you to become our Paradigm neighbor!